Earth Hour is 1 week away! 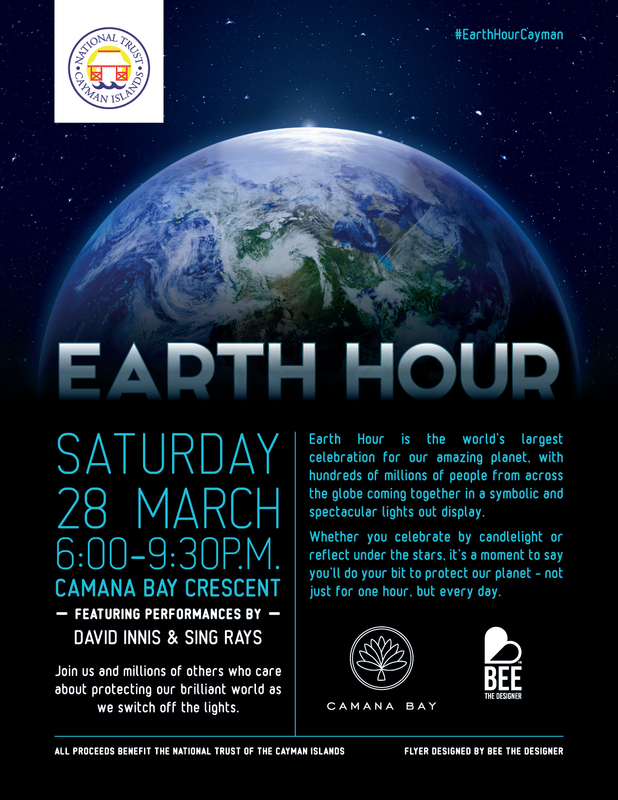 This year, join the National Trust for the Cayman Islands celebrating Earth Hour at The Crescent, Camana Bay, Saturday 28th March 2015 from 6:00pm-9:30pm. The evening will include an intimate outdoor concert, with acoustic performances by David Innis and the Sing Rays. Earth Hour Cayman is a free event, great for friends and the whole family. From 8:30pm-9:30pm in honor of Earth Hour, the lights of The Crescent Fountain will be turned off. 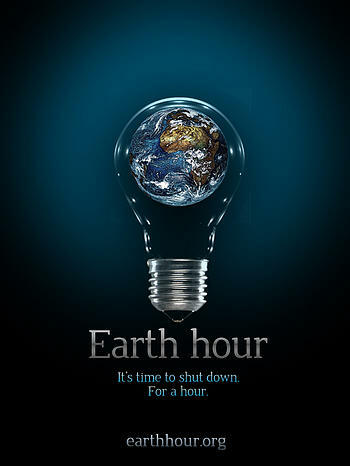 Earth Hour was created by World Wildlife Fund, and is internationally recognized. Globally, on March 28th, from 8:30pm-9:30pm, participating countries are asked to turn off non-essential lights, to stand in solidarity raising awareness for the planet. 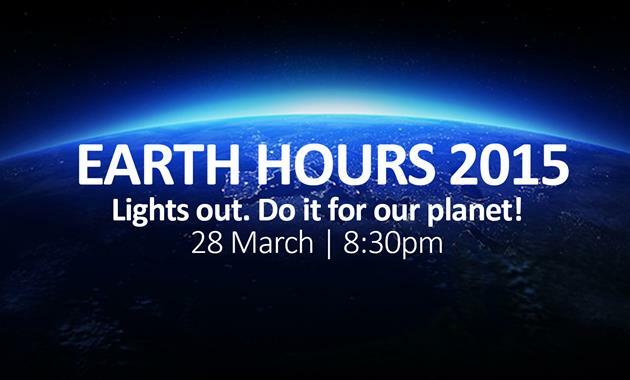 In honor of Earth Hour, Saturday 28th March 2015 from 8:30pm-9:30pm please pledge to help the planet. You can pledge to turn off non-essential lights as part of a global movement to raise awareness for the environment. Take the Earth Hour Cayman Pledge, and support the National Trust for the Cayman Islands. Cayman, let’s work together to raise awareness about climate change. Next PostThe Falling of Trees In a Forest […] Does it make a Sound?